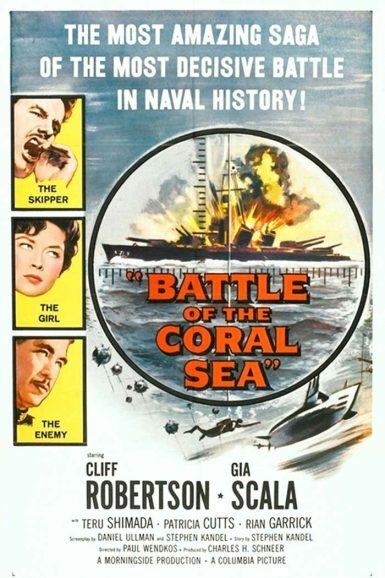 Lieutenant commander Jeff Conway (Cliff Robertson) is leading the U.S.S. Dragonfish on a reconnaissance mission in the South Pacific when his crew is captured by Japanese forces. Over the following weeks, American and British prisoners must work together to devise a dangerous plan of escape so Conway can relay vital intelligence to the Allies. Featuring real combat footage from the historic clash in May 1942, the Battle of the Coral Sea was a decisive campaign that ultimately changed the tide for American troops at the Battle of Midway, which secured Allied victory in the Pacific War. A stirring Southern tale of startling faith and lurid exploitation! 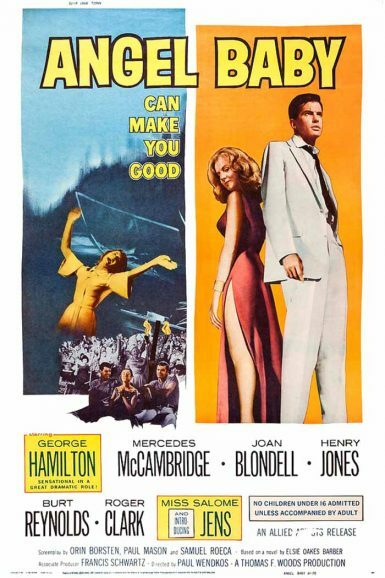 Salome Jens stars as Angel Baby, a beautiful mute woman whose voice is restored by a bible-thumping preacher (George Hamilton in a dynamic dramatic role). But as she hits the tent revival circuit to save souls and heal the sick, many around her are more interested in profit than the gospel. Burt Reynolds makes his screen debut alongside excellent supporting turns by Mercedes McCambridge, Joan Blondell, and Henry Jones. Haskell Wexler provides the striking black and white cinematography.